Get ready, get set, get creative! This set contains everything you need for fun at home or on-the-go! 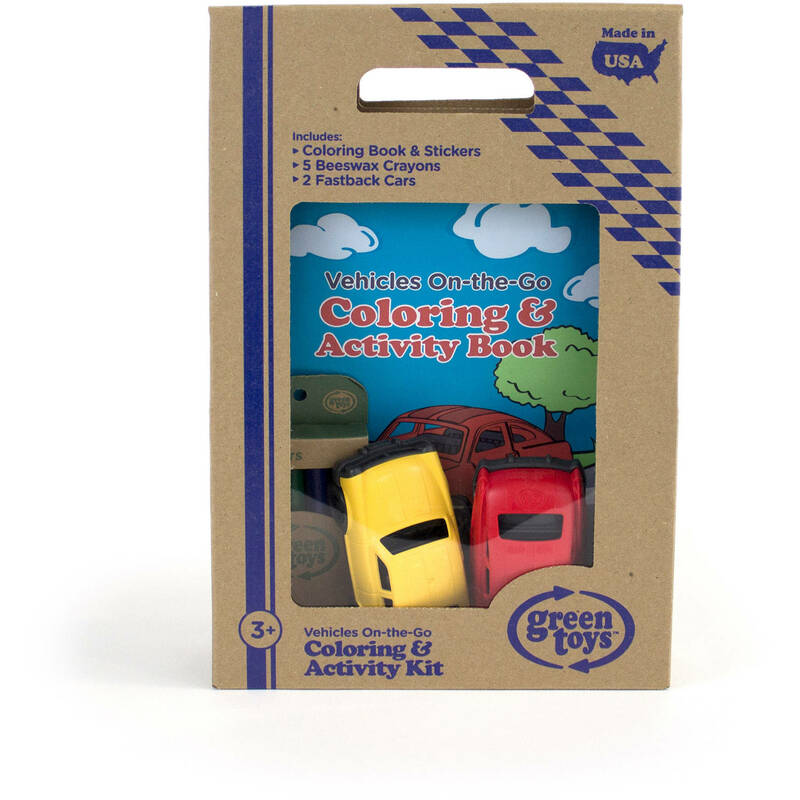 There's loads of activities in the 8-page vehicle-themed coloring book. Take your creativity to the next level with crayons (5) and stickers. 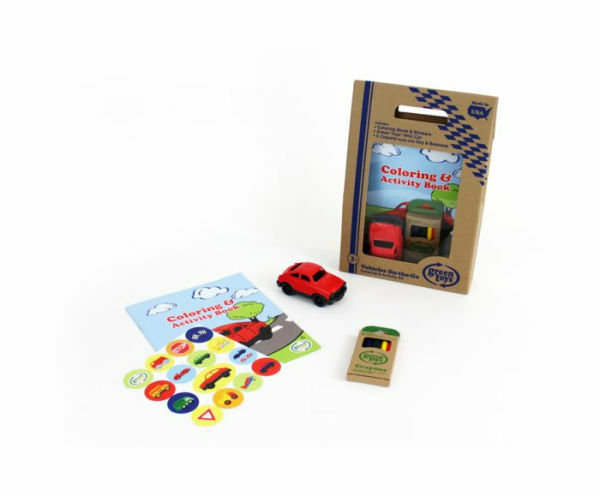 Plus 2 Green Toys Mini Cars make imaginative play possible anywhere, anytime! Made by Green Toys, the makers of safe, earth-friendly playthings for kids as part of the solution for a more sustainable future. Recommended for ages 3 and up. No PVC, BPA or Pthalates.